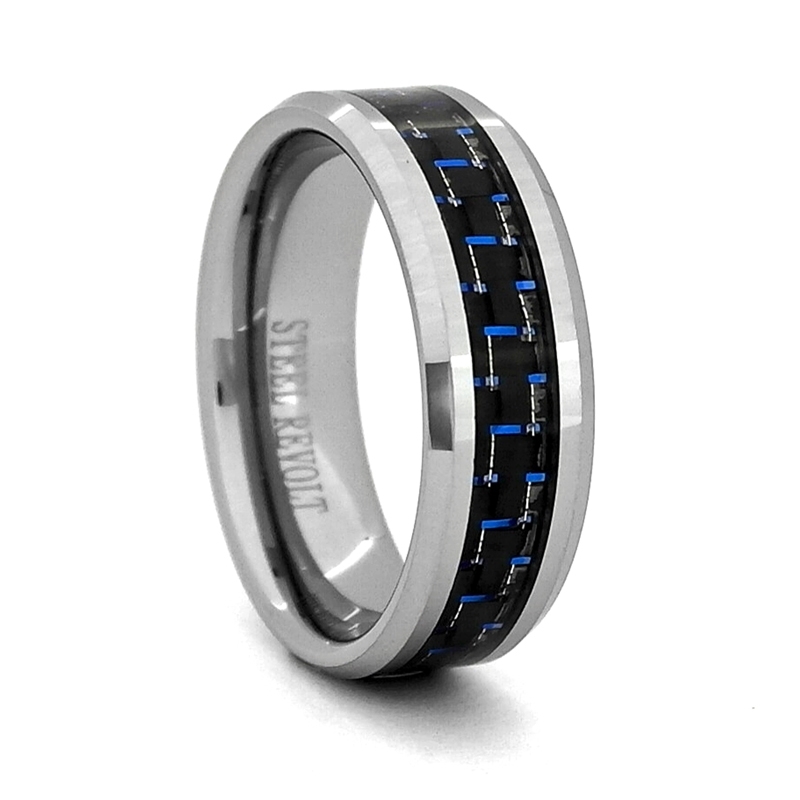 This elegant Tungsten Carbide band with Black/Blue Carbon Fiber Inlay is a perfect gift for a special occasion. High polish metal complements Black/Blue Carbon Fiber Inlay for a one of a kind, unique look. It is so cool, it can be worn as a wedding band or a right hand ring.